Google announced the Android 5.0 Lollipop update back in November, and Motorola put out the update to one of its device in less than a month. That was pretty fast and something that we could expect only from Motorola. Now, after four months of Lollipop’s release, Motorola has pushed the update to all of its compatible devices. But the story is to be continued again, as Google has pushed out another update to Lollipop – Android 5.1. Well, of course, Android 5.1 doesn’t bring much to the table than a few cool animations and little sweet changes to some parts of the OS. But still it’s pretty intriguing to have this update installed on our devices. And while we’ve good faith in Motorola to push the Android 5.1 update very soon to its Lollipop running devices, we know it’ll take a couple of months. So, why not look out to options like CyanogenMod 12.1 ROM. – No video recording, even if app says it works. – Problem with the media scanner after rebooting when sdcard contains many files. – PM me if you find any issues with logcat only. The list of issues will be sorted out very soon, we’re pretty sure about it. But, we wouldn’t recommend you to download and install it on your Moto E yet. The bugs look pretty serious to be used as a daily driver. Wait on a couple of days or weeks before you try this ROM. icon-download Download CM 12.1 for Moto E 1st Gen. WARNING: Warranty may be void of your device if you follow the procedures given on this page. You only are responsible for your device. We won’t be liable if any damage occurs to your device and/or its components. 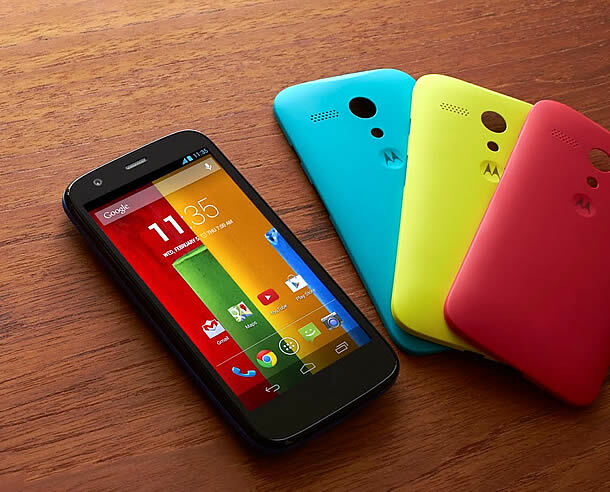 >> Do not install this ROM on any other model of Moto E than only and only Moto E 1st Gen. Important Note: Backup important files stored on your device before proceeding with the steps below, so that in case something goes wrong you’ll have backup of all your important files. Transfer the ROM file and Gapps package file to your device’s internal storage and remember the location where you save it. Install a custom recovery (TWRP, CWM, etc.) on your device. Either search our site or Google it! Once in recovery mode, take a backup of your current ROM. On TWRP, select Backup, then do a “Swipe to Back Up” on the bottom of the screen. Once the backup is finished, select Wipe, then do a “Swipe to Factory Reset” on the bottom of the screen. Go back to the main menu of TWRP recovery and select Install. Navigate to the file where you saved your ROM’s zip file, select it and “Swipe to Confirm Flash” on the bottom of the screen. Now wait until the flashing process finishes. Once ROM is flashed, flash the Gapps package in a similar way like you flashed the ROM file. After flashing both the files. Go to back to recovery’s Main menu, select Reboot » select System.